"My Job Is To Aggressively Defend Your Case"
I'VE BEEN CHARGED WITH IMPAIRED DRIVING IN ASHEVILLE, NC, IS MY CASE HOPELESS? NC drunk driving charges are serious. If you're charged with DWI in Asheville, NC, you need a skilled criminal defense attorney. The effects an Impaired driving conviction can have on your life, your career, and your ability to travel are significant. However, a DWI charge is not always hopeless. You'll need to contact a criminal lawyer who is poised to analyze your DWI case from top to bottom. You will need an attorney who is willing to analyze your case, and one who can determine whether or not you have any issues with the nature of the stop, the validity of the arrest, or the administration of the tests, or any other triable issues that could potentially lead to dismissal of the charges. Make no mistake, conviction rates are high for a DWI in Asheville, NC as well as DWI in Hendersonville, NC and other western NC areas. Even if you plead guilty to DWI charges, there are issues with driving privileges pre-trial, and post trial. You'll also be faced with showing mitigating factors to lessen your punishment, as well as defending any aggravating factors that will increase punishment. Depending on the circumstances, and what level you land on, you could be facing significant jail sentences on the first offense. You'll want a skilled, knowledgeable advocate to help navigate this process, and to make sure you are able to keep driving, if possible, so that your life is not interrupted any more than necessary. Common Procedure To Follow During Traffic Stops. Often Times, The Case Is Being Built As Soon As Police Approach Your Vehicle. These Tips Are Crucial In DWI Stops Or Any Stop. Can I Drive After DWI Charges? DWI Conviction in Asheville May Restrict Or Eliminate Your Driving Privilege. Call An Asheville DWI Lawyer To Find Out How To Keep Driving! Refusing to blow invokes NC applied consent revocation, which revokes your license regardless of DWI case outcome! Blowing .15 Or Above Can Greatly Complicate DWI Driving Privileges. Once Convicted of DWI, Standardized Sentencing Factors Determine Your Punishment. Aggravating Factors Can Be Challenged If Necessary. Pleading Guilty to DWI Requires Strategic Analysis By Your DWI Attorney. An Effective Drunk Driving Defense Lawyer Will Take Issue With Any Problems Surrounding Your Charges, And The Result Could Be Not Guilty. NC DWI Convictions Are Sentenced According To Statutory Guidelines. Your Circumstances Can Help Predict The Punishment You Could Receive Pursuant To These Guidelines. Blood Draw DWI Cases Can Change Strategy For You And Your DWI Lawyer. It Is Important To Realize DWI Drug & Blood Draw Case Nuances. Blowing Above The Legal Limit Is Not A Requirement For DWI Conviction! DWI Charges Do Not Always Occur On Typical Roads, And Do Not Always Require Police To See You Driving! Impaired Driving in NC is a serious charge that calls for a dedicated DWI Lawyer to analyze your case. NC DWI stops can be broken down into phases and analyzed by an effective DWI attorney. There are several phases you'll want your attorney to look at, from the stop through the final breathalyzer, charge and sentencing. Each of these DWI phases can be potentially successfully defended against on constitutional grounds. If there are no triable issues available in your DWI case, certain preparatory actions along with the help of a skilled attorney could lead to lowering the severity of the charges. Even if the charges can't be reasonably challenged, your lawyer can greatly improve your position, and help reduce the stressful burden you'll be facing. 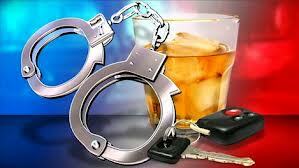 Read about more issues with DWI charges in my Asheville DWI Lawyer Blog.